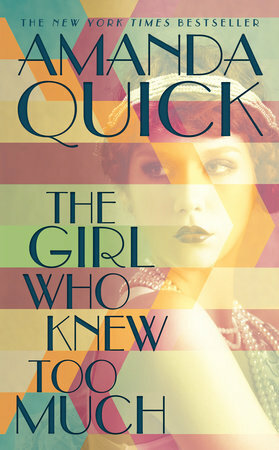 Amanda Quick, with her novel The Girl Who Knew Too Much, has updated West Coast, inter-War period romance crime drama with a female protagonist and a plot so genuinely true to the genre that she earns a place for herself beside such greats as Raymond Chandler (The Big Sleep) and Dashiell Hammett (The Maltese Falcon). Most satisfying is that Ms. Quick’s style separates The Girl from the mast-marketeers whose cheap imitations line the shelves of grocery stores and airports across our land. The reader encounters a grizzly crime scene on the first page: “The abstract painting on the bedroom wall was new. It had been painted in fresh blood,” and instructed to “Run!” written by the victim only moments before her death. There is a dash to Chicago, then a motor trip of famed Route 66 to the Golden West, Los Angeles, and, of course, Hollywood. Yet another murder which introduces the male love interest—a failed magician now owner of a posh resort—and some of the finest demonstration of how to plot that I have read recently. Quick is detail oriented. The reader knows the characters, sees the scenes in such luxurious detail as to not be distracted by trying to figure out whodunit. Pleasure enough comes from a command of language which turns the pages and allows the shark to jump without objection. Thanks go to the editor who advised, “Go for it!” because Amanda Quick did and does in The Girl Who Knew Too Much. —Alexander Watson, author of River Queens: Saucy boat, stout mates, spotted dog, America.